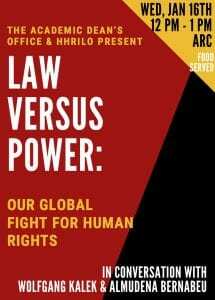 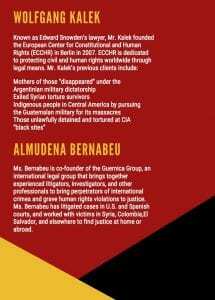 LAW VERSUS POWER: OUR GLOBAL FIGHT FOR HUMAN RIGHTS, 1/16, 12-1 pm, ARC. 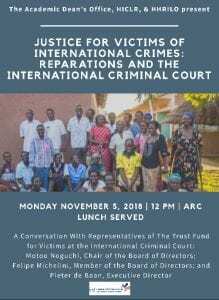 Food provided. 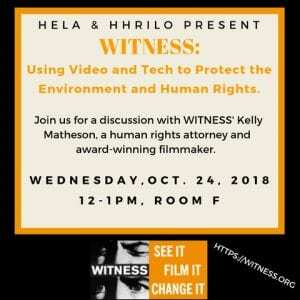 On Wednesday, October 24th, HHRILO was fortunate to host Kelly Matheson, from WITNESS . 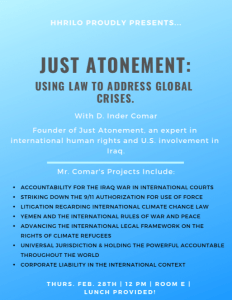 Ms. Matheson spoke to students and faculty about an emerging field of international law and the use of video and technology to protect and defend human rights and environmental rights. 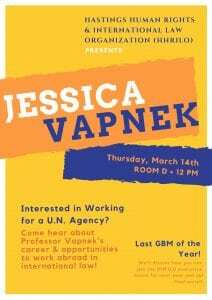 Her work spans the globe, everywhere from Syria to the Democratic Republic of Congo to Brazil. 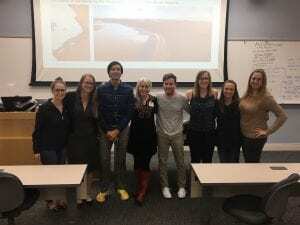 Below, Ms. Matheson is pictured (center, with red boots) with some of the students who organized the event. 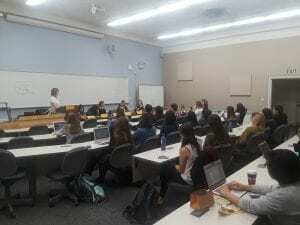 Elisa Vari (3L) Internship: Legal Intern for Caribbean Protection unit, United Nations High Commissioner for Refugees (UNHCR) in Washington, D.C.